With the release of XenDesktop 7.1 and 7.5 Citrix transferred the Edgesight functionality into Director. While I applaud the fact that they said goodby to a ’90s product that needed a fixup I wish they integrated more features in the 1.0 version.. This blog will show you, in short, what I think Edgesight is lacking in XenDesktop 7.5. If you have any additions to features you’re missing please let me know and I’ll add them to the blog. If you read my previous blog concerning Edgesight implementation in XenDesktop 7 you know the consoles that are there, if you didn’t read it perhaps that’s a place to start. 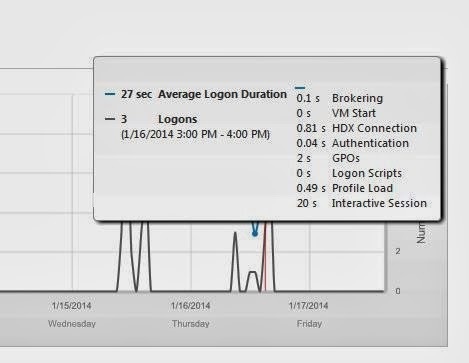 Citrix Edgesight 5.x was a pretty powerful product that was very helpful in troubleshooting Citrix environments. The console was a bit ’90s but once you got around it you had a hell of a tool at your hands. What did we use Citrix Edgesight 5.4 for, let’s name a few features that I used. In 5.4 we had the possibility to see all the processes of the Citrix XenApp servers, we could take a look at a server to diagnose the processes, stability, network traffic, sessions and so much more. In 7.5 (let’s call it 7.5 from here on, it’s pretty useless to be adding XenDesktop in front of it every bloody time, no is it?) So in 7.5 we have no means of seeing what servers are actually doing. 7.5 is built around the idea that you should see when machine fail, fail from a Citrix perspective that is, we have no clue what rules are behind the dashboard nor can we alter them or create custom ones. The screenshot above shows the tabular setup that forms the whole implementation of Edgesight in 7.5. There is no server overview or detail tab anywhere. The report XenApp summary showed the private and working bytes on a Citrix server or the whole environment, you could filter out the applications that have a high usage of private bytes. Microsoft Excel used to be on the top list for this one, but several old school 32bit applications on a 64bit system use private bytes and consume to much memory without releasing it. These details are very important for they give you insight in if you designed the environment correctly, you don’t want it to slow down because of something stupid like to less memory. In 7.5 there is no way of finding how an application is using memory without using third party applications to monitor for you. You can see how much memory is being used in 7.5 but only from a user perspective and not with the details you would need. In Director after you search for a user and click on details you will get details of the processes this user is running and the CPU usage and memory usage. with 5.4 we had the option to create alerts and make Edgesight send out an email or snmp trap. This was easy for we got a message from Edgesight when something crossed a threshold making sure we could fix it before it caused mayhem. In 7.5 there is no reporting whatsoever and there surely is no alerting option. Alerting in 7.5 is non existent, it’s more of a live monitoring tool that offers a bit of looking back from a standard console but nothing more. From the console showed earlier in the blog and the screenshot above here we gain access to historical data. access to historical data is something else than alert reporting mentioned here but it’s the only thing offered in 7.5 that comes close. In 5.4 we had default dashboards and we could built our own dashboards so that we could monitor different components and metrics just the way we wanted to. We all remember the bulleted dashboard that would change to orange or red if metrics went wrong.. It wasn’t the most beautiful dashboard ever seen but you could create one with very much detail and it was there. In 7.5 there are default dashboard and at this moment I haven’t seen any customization yet. 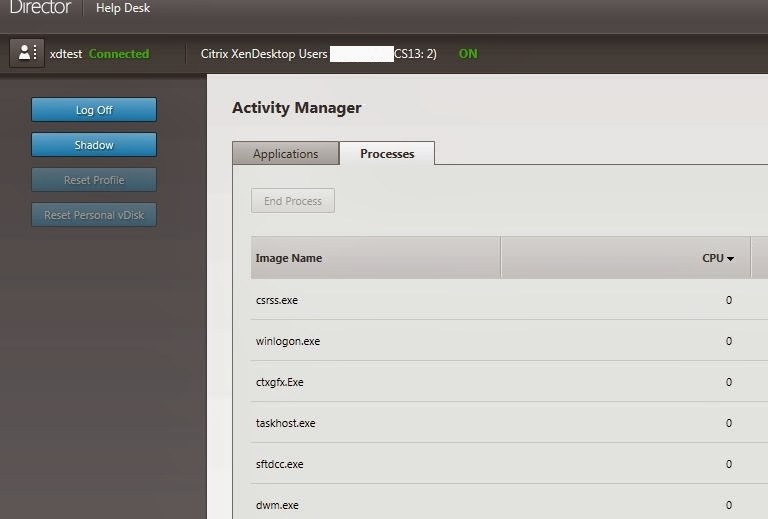 The health of Citrix components is displayed in the bottom part of the console screen of the Director with check marks. The check marks change to red triangles when thing are not available. Director looks very clean and well organized but I miss the lack of details and customization to make it my own. I feel like I’m being told it’s ok but there is no way of finding out why Citrix thinks it’s ok. You would need third party tooling to monitor the environment to see if it really is ok. This is a screenshot of the dashboard in 7.5, very neat and very not customizable. It wasn’t used that much but when you wanted to test a certain service you could create a active application monitor which was basically a scripted way of starting processes and measure what time it would cost to do so, This was very useful to establish a baseline and do regular testing of performance and functionality. In 7.5 this feature is not there anymore, the is no way to create a script to execute a set of processes at all. With Edgesight HDS insight you can do network monitoring to see latency issues and stuff like that but you can’t do anything from the users endpoint device. Again a third party solution would be needed to help you here. The same as mentioned with active application monitoring goes for endpoint monitoring, In 5.4 you could monitor the endpoint device so that you would see if the issue reported was caused by the endpoint. In connection issues this was a very useful way of troubleshooting. In 7.5 this has also been left out, there is one report in the console that shows the brokering time and a few more details about setting up the session but not as much and in much less details than before. The screenshot above shows the current implementation, pretty nice but far from what it used to be. I have to say I like the graphical details but would love some details regarding the client. Well it’s a short blog but I hope it shows that there are many features of Edgesight 5.4 missing in the new version. I hope that Citrix is working hard on them to bring them back, in the mean time look toward third party tooling to help you out.. This could just be part one of this blog depending on how much more features I can think of or you will hand me. Hope it gives a view on what we miss or at least I miss.